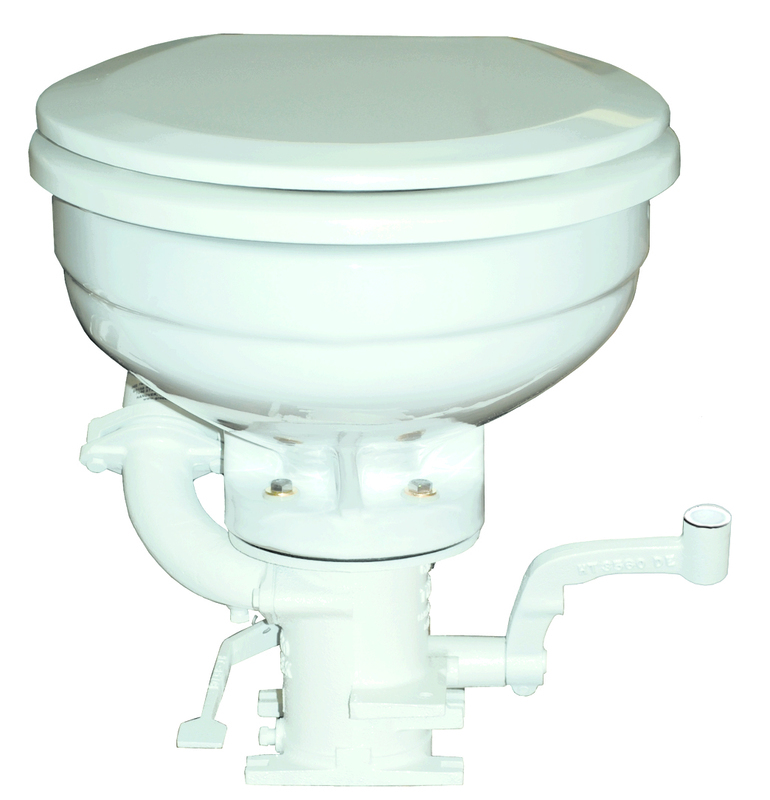 Adjustable flow up to 4 GPM. Electric or hand operated models are available. Electric models operate by touch of a button and are quickly converted to hand operation by removing one easily accessible bolt. 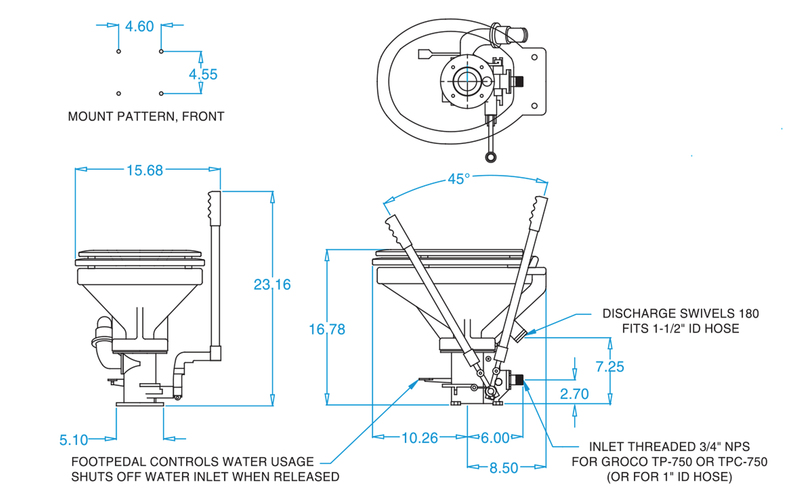 For installation above or below the waterline; foot pedal water control allows the desired amount of flush water to be used and automatically shuts the water inlet off when the foot pedal is released. No valves to close or hand wheels to turn.